Lincoln, Neb. 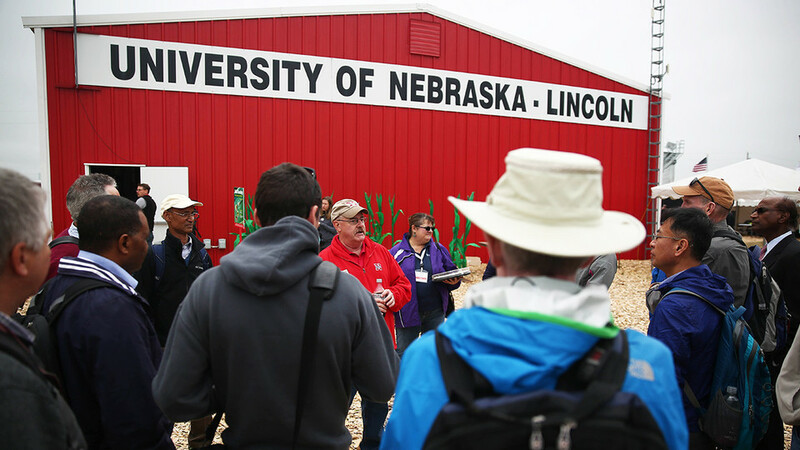 — Husker Harvest Days exhibits from the University of Nebraska-Lincoln will help show farm and ranch families how minor changes can lead to major returns. "Small Changes, Big Payback: Strengthening Nebraska's Agricultural Economy" is the theme for the Institute of Agriculture and Natural Resources exhibits at the farm show Sept. 12-14 near Grand Island. "Exhibits will outline a wide range of decision points, strategies and tools for farmers, livestock producers and farm families that can have a direct impact on their economic well-being, many of which are incremental in nature but can have dramatic impacts on their bottom line," said IANR Harlan Vice Chancellor Mike Boehm. The university's annual survey of agricultural land value and rental rates in Nebraska. Outdoor exhibits adjacent to the building will feature a variety of demonstrations related to improving irrigation efficiency and reducing irrigation pumping costs. The outdoor area will also feature a free solar-powered cellphone charging station. Inside the building, IANR faculty and staff will be available to answer questions on a variety of extension and research-related topics, provide copies of NebGuides and direct those needing more information to extension experts in their local area. Showgoers can learn about the latest opportunities for students at the university's College of Agricultural Sciences and Natural Resources and the Nebraska College of Technical Agriculture in Curtis. Those interested in the Nebraska Leadership Education Action Development program can also visit with a representative. "We view this event as an excellent opportunity for us to bring the best of IANR and Nebraska Extension and research to Husker Harvest Days, and we take that very seriously," Boehm said. "This year marks Husker Harvest Days' 40th anniversary, and IANR has been a proud part of it since the very first show. We always appreciate the opportunity to visit with stakeholders about what they see as Nebraska's main challenges and opportunities."